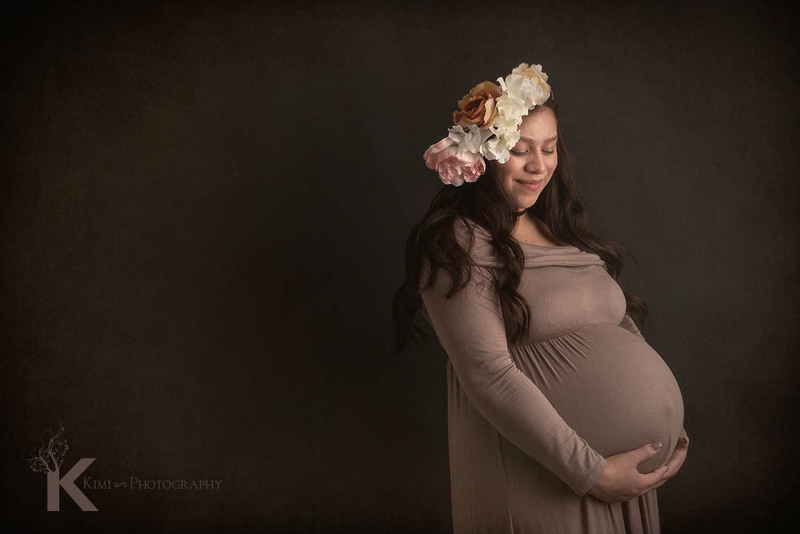 We had a Beautiful Maternity Portrait Session at Kimi Photography in Portland Oregon. 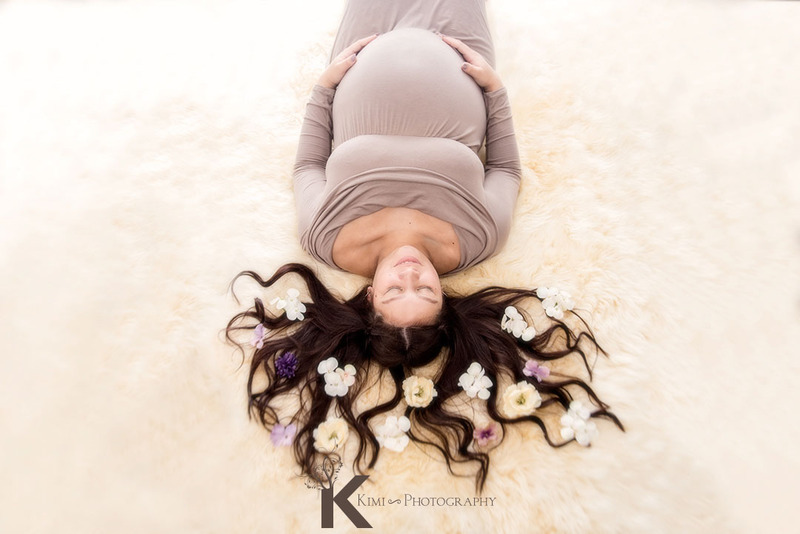 One of the popular session packages is our Belly to Baby package at Kimi Photography. It is both our maternity and newborn sessions. 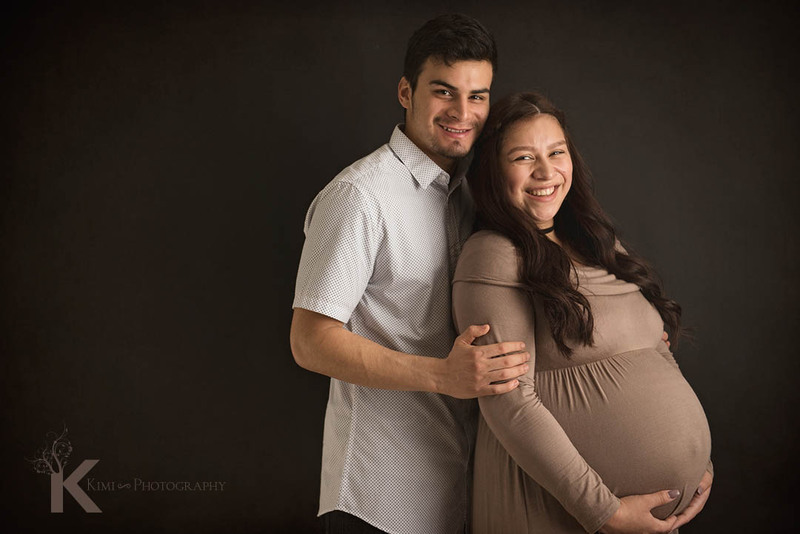 This couple was also interested in both sessions, and we have recently done a maternity portrait session with them! Since last winter, Portland is having such weird weather… It has been rainy and snowy :(. I have been living in Portland for 9 years so far, but it is one of the worst winters… When they booked with Kimi Photography, we could not guarantee the sunny weather for outside session, so we planed inside studio session for the maternity portrait! I personally like both outside and inside sessions. I think both have their good points depending on the situation. For an outside session, we can enjoy the weather and capture the season with the maternity portrait session. Usually kids love being outside and running around if you have one or more children already! It is great for the family oriented sessions. 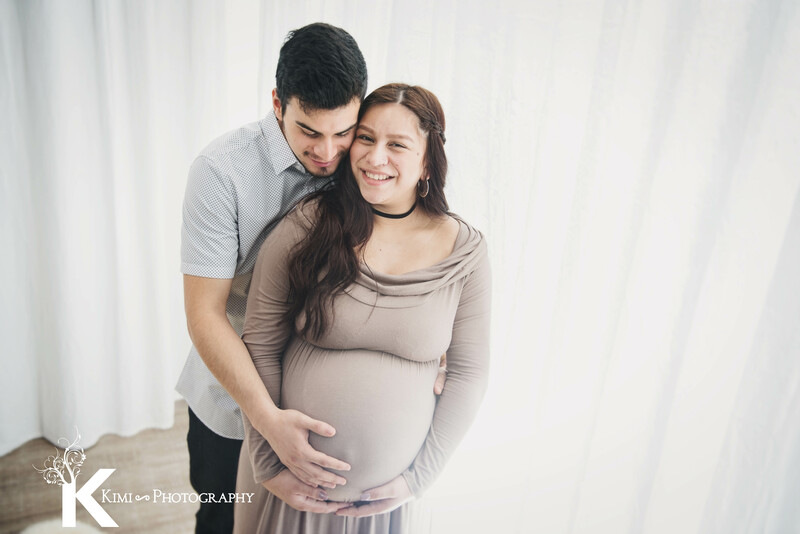 For the inside session, we can make the maternity portrait session more intimate. Also, you don’t have to walk around, so it is easy for the mom. Another thing is….Weather. Since you don’t want to miss the timing, it is always good to have an option to choose from inside or outside maternity sessions. Kimi Photography is available for either one! If you want to know more about sessions with Kimi Photography, please contact us 🙂 We have a free consultation to plan out your portrait session. For this maternity portrait session, the couple was expecting their first child, so it worked out great for an inside session! The mom chose a beige dress! The neutral color always compliments the beauty of inside maternity portraits I believe. It goes well with both black and white backgrounds. It was such a fun session and their smile just made me happy and joyful! I am so glad that I was chosen to be their maternity and newborn photographer! I am very excited to see their baby boy soon!